The eyewitness whose testimony I invoked as supporting the possibility of grave space reuse is Kurt Gerstein. Accordingly Mattogno (pp. 1240 ff.) spends much time arguing against Gerstein’s testimony. The naked corpses were carried on wooden stretchers only for a few meters into pits of 100 × 20 × 12 meters. After a few days the corpses fermented up, and then shortly thereafter they collapsed heavily so that it was possible to throw a new layer on top of them. Then 10 cm of sand was sprinkled above, so that only a few heads and arms were protruding. Needless to say, "shortly thereafter" does not necessarily mean "after a few more days", but can also refer to a comparatively longer period. Mattogno’s next argument is that Gerstein could not have witnessed the swelling and subsequent collapsing of the bodies himself, for he "states that he arrived to Lublin on 17 August 1942; "on the other day" he went to Bełżec and "on the other day – on 19 August 1942 [am anderen Tage – dem 19. August 1942]," he went to Treblinka and therefore he was in Bełżec one day only: 18 August.". Hence the above-quoted description is supposed to be "hearsay and thus devoid of any value". As he tole[sic!] me himself on that occasion, he had been to Belzec a number of times. It is possible that[sic!] he may have witnessed scenes similar to those he describes and that, in his report of April 26, 1945, he was no longer differentiating between the visits, but giving a summary picture of them. According to Mattogno, I’m also supposed to have misinterpreted the contents of Gerstein’s statement, in that he supposedly "does not say that the lowering of the “older” layer consisted in the reduction of the original volume, but that the corpses first swelled to a height of 2-3 meters before they deflated". Mattogno’s interpretation is contradicted, first of all, by Gerstein’s observation that another layer of corpses was placed on top of the previous layer after it had deflated, which suggests a reduction of the lower layer’s volume. A reduction of volume also becomes apparent from Reder’s above-quoted statement whereby a "high wall of soil" rose above a grave after it had been closed, and as time went by "the soil sank and the level slowly became even". This is what happens in decomposition, as can be seen on the Australian Museum’s "Stages of Decomposition" webpage. Bloating through the formation of gases in the putrefaction stage (4-10 days after death) is followed by the black putrefaction stage, in which the bloated corpse collapses into a flattened corpse as it not only releases the gases that caused it to bloat, but also loses a large volume of body fluid. Thus the corpse obviously becomes smaller at this stage than it was before bloating, and its size is further reduced as black putrefaction is followed by butyric fermentation and eventually dry decay. Mattogno argues that "the bloating would not have subsided in the short time it would have taken to fill one of the mass graves", which may be true if a grave was filled in less than ten days (unlike the one that was filled between mid-April and early July 1942) but is irrelevant insofar as further layers of corpses may also have been added to an already filled (and even an already closed) grave as its surface sank in due to the corpses losing volume. Next comes Mattogno’s sand-filling trick, already addressed in a previous rebuttal. Mattogno tries to fill the mass graves with as much sand as possible (one third or half of the grave filled with sand instead of bodies) by creatively reading into Gerstein’s and Pfannenstiel’s accounts the claim that a layer of sand 10 cm thick was placed on top of either every two layers (Gerstein) or every single layer (Pfannenstiel) of corpses. As I pointed out in the aforementioned rebuttal, Gerstein's account doesn't allow for concluding that a layer of sand 10 centimeters high was poured on top of every two layers of corpses; all that can be inferred from his description is that the final topmost layer of corpses in a mass grave was covered with a ten centimeter layer of sand. In what concerns the layers below, Gerstein's description might as well be interpreted as suggesting that no sand was poured on top of each of the lower layers, or at least not a layer of sand 10 centimeters thick. Being as they were in need of carefully managing their available grave space at a small place like Belzec, the last thing the SS would have done is to waste so much grave space on sand layers, which in turn means that, if sand was poured on top of every layer or every two layers of corpses, it can only have been very thin layers of sand and not layers ten centimeters thick. Accordingly judicial findings of fact based on eyewitness testimonies about procedures at the Aktion Reinhard(t) camps speak of a "thin" layer of sand or quicklime poured over each layer of bodies. This is not contradicted by the fact that, according to Sara Berger with reference to the depositions of several SS-men including Kurt Franz, a filled mass grave was topped off with a sand layer one and a half meters high. For what the cited witnesses presumably referred to was the "high wall of soil" covering each mass grave according to Reder’s aforementioned deposition on 29 December 1945 in Cracow (German translation in BAL B162/208 AR-Z 252/59, Bd. II, f. 1175 ff. (p. 1178), which gradually sank until the grave’s surface looked even. Following his sand-filling trick, Mattogno accuses me of "dishonesty" on account of having mentioned only Gerstein’s exaggeration as concerns the depths of the grave pits at Bełżec, while omitting Gerstein's also widely exaggerated claim about the surface area of those graves. Considering that my accepting the results of Prof. Kola’s archaeological finds as concerns the graves’ areas obviously rules out accepting Gerstein’s exaggerated claims in this respect, and that I in my earlier response to Mattogno I quoted verbatim Prof. Browning’s explanation of why Gerstein’s testimony, despite the several "grossly exaggerated claims" and other flaws contained therein, remains a useful source of evidence, Mattogno’s accusation can be called silly at best. There is no evidence, as far as I know, that Rosenberg’s above-quoted account was in any way influenced by Gerstein’s testimony. Assuming that, as suggested by the context, Rosenberg was referring to the topping-up of a grave with additional corpses, this would mean that there are at least two eyewitnesses (Gerstein and Rosenberg) who, independently of each other, described a proceeding that involved reusing mass grave space that had been freed by the buried corpses’ loss of volume due to the decomposition process. In support of Gerstein’s testimony I had referred to that of Treblinka commandant Franz Stangl whereby he had witnessed corpses being pushed above the surface of the mass graves due to the decomposition process at Bełżec. Stangl wrongly attributed this phenomenon to the corpses having been pushed up by "the liquid gathering below", and Mattogno takes advantage of this mistake to attack Stangl’s account in the strongest terms. Mattogno is of course right in that what caused the pushing of the corpses outside the grave, as observed by Stangl, was the gasses forming inside the corpses and not the liquids emanating out of them. But does this mean that Stangl had not observed the "overflown" pits he described? No, it only means that Stangl was mistaken in his assessment of the causes of that "overflowing", wrongly assuming that what he observed had been due to liquid gathering below and pushing the corpses up, when actually the cause of that phenomenon had been the gasses forming inside the corpses. A witness’s mistaken assessment of the causes of a phenomenon he described as having observed, needless to say, does not mean that the witness did not observe the phenomenon he described. Mattogno’s claims that the pressure generated by putrefaction gasses does not produce the effect described by Stangl, but his source Créteur doesn’t support this claim because he mentioned, in regard to mass graves from the 1870/71 Franco-Prussian War, that "with the ongoing decomposition, the corpses are lifted among each other and they overturn the soil covering them; often I found corpses with arms and legs protruding from the graves, half mauled by dogs and birds". This description actually resembles that of Stangl, except that Creteur had not found corpses lifted outside the mass graves he had described. However, that difference can be easily explained by that fact that the battlefield mass graves described by Créteur were not as tightly packed with corpses as the mass graves at Bełżec. Regarding my description of the stages of human decomposition, Mattogno knows no better than to regurgitate arguments against one of my sources that have been addressed in the aforementioned previous rebuttal. He also reveals a problem in reading comprehension as he claims that I invoked "Casper’s dictum", according to which "one week of putrefaction in air is equivalent to two weeks in water, which is equivalent to eight weeks buried in soil, given the same environmental temperature". Actually this rule of thumb is not mentioned in the critique, unlike two other sources whereby decomposition is four(not eight) times slower in buried corpses than in corpses lying in the open. In my previous rebuttal I provided an explanation for the difference between "Casper’s dictum" and my sources, in the sense that the four to one time ratio refers to the time until the putrefactive juices have drained away and the soft tissues have shrunk (i.e. until the end of the black putrefaction or the butyric fermentation stage), after which the speed of decay is appreciably reduced. Mattogno ignores this explanation, which is supported by the speed at which buried corpses lose their body fluids – as we have seen in Section 1 of this Part 4, buried carcasses release about a third of their mass into the soil as leachate within approximately two months, half thereof (i.e. one-sixth of their mass) in the first week after burial. Mattogno also misunderstands my argument derived from another article, whose author, forensic anthropologist Arpad Vass, established a formula for human decomposition in the open (y=1285/x, where y is the number of days it takes to become skeletonized or mummified and x is the average temperature in Centigrade during the decomposition process). Vass provides an example of this formula (if the average temperature is 10 °C, then 1285/10 = 128.5 days for someone to become skeletonized), which Mattogno uses to argue that, since the corpses were buried, "the duration calculated in Vass’s example was eight times longer and therefore it would have taken (128,5 × 8 =) 1,028 days, hence almost three years". Now, the temperature at Bełżec in the late spring, summer and autumn of 1942 is likelier to have been in the order of 20 or 30º C, which would reduce the time for skeletonization in the open to 64 or 43 days for bodies exposed to air and insects, and the time for corpses to lose their liquids and most of their volume underground would at most have been four times longer in each case (as borne out by my sources) and was probably shorter given that most corpses would already be in some stage of the decomposition process by the time a grave was closed. Clinging to Vass’s caveat that his formula is "a rough estimate since many factors affect this rate", which is "typically used at a crime scene when investigators need some time frame from which to begin their investigation", Mattogno argues that "an essential question not even touched" by me is "the one about the corpses in wax-fat status". If I am "willing to believe" that "there are at this very moment in the soil under the Bełżec memorial some 17,000 corpses in a state of saponification", then I "must also believe that the phenomenon was huge and that it must have involved a far superior number of corpses, partially cremated and partially left in the pits". Mattogno contends that "for these latter ones the volume loss would have been negligible in respect to the decomposed corpses". Mattogno is partially right in that the number of corpses I estimate to possibly lie still lie in Bełżec’s mass graves ranges from 9,083 to 17,030 corpses. But he doesn’t explain a) why he expects corpses other than those left at the bottom of the graves to have undergone wax-fat transformation, b) how many corpses would in his opinion have undergone wax-fat transformation, and c) at what stage of the decomposition process he would expect wax-fat transformation to have set in and prevented further decomposition. As to volume loss, images of corpses in wax-fat transformation suggest that the "comparatively negligible" loss of volume as a result of wax-fat transformation could still be sufficient to free a significant amount of grave space. At least the loss of fluid during the first two months after burial, which as demonstrated above would free enough grave space to considerably stretch burial capacity, doesn’t seem to be hindered by wax-fat transformation. Among the corpses chlorinated lime was put as a disinfectant and against the smell. The mass graves filled with bodies were covered with a layer of liquid lime and sandy soil. Like in the construction phase the putrefaction gases lifted the layer of soil, some days later the graves sank again due to the fermenting corpses and thick black blood and foul-smelling liquids came to the surface. Due to the lack of time and the incessant transports the camp staff had not yet found a solution for this problem. In order to counter the unpleasant consequences of decomposition, the men ignited the upper layer of corpses with gasoline or other flammable liquids, though due to the insufficient oxygen supply it only combusted insufficiently. Since the hot summer of 1942 the T4-Reinhardt men clearly saw the hygienic problems of corpse removal. The corpse pit "exploded", the sandy soil lifted and swollen corpses came out of the mass graves. Corpse fluid and blood emanated. The decomposing corpses attracted vermin, a severe stench spread in the camp and its surroundings and the camp staff feared – after some cases of disease – that due to the contaminated drinking water in the wells epidemics would spread. Chlorinated lime for disinfection and dikes around the pit could not change the situation much. Obviously there were just too many corpses for the available amount of chlorinated lime to have any appreciable effect, which flies in the face of Mattogno’s contention that "in Treblinka the chlorinated lime (Chlorkalk) was used in adequate quantities in the mass graves". The only evidence that Mattogno offers in support of this contention is a Wehrmacht letter (Wehrmacht-Brief) dated "Treblinka, 10 September 1943 [Treblinka, den 10, September 1943]" regarding the delivery of a railway car of chlorinated lime to the "SS-Arbeitslager Lublin". As the amount delivered to Lublin was "evidently the remnant of a previous delivery", Mattogno concludes that Treblinka must have had sufficient chlorinated lime to spare and give away. However, this is a non sequitur conclusion, considering that by September 1943 the process of exhuming the corpses interred in 1942 and burning them along with the (comparatively few) corpses from transports arriving in 1943 had been going on for months. Considering the aforementioned evidence to the insufficiency of the chlorinated lime’s deodorant effect, a likelier explanation is that the earlier shipment had arrived at Treblinka at a time when it was no longer needed as corpses were no longer being buried, and was therefore forwarded to Lublin in the course of the camp’s liquidation. This logical conclusion is not Mattogno’s, of course. He prefers to jump to his desired conclusion of "adequate quantities" by taking the mentioned Wehrmacht document out of context and ignoring the evidence that belies this conclusion. What is more, he claims that said conclusion further supports his crusade against a piece of documentary evidence so inconvenient to his articles of faith that he’s reduced to the deplorable last-resort argument of calling into question its authenticity – an entry for the date 24.10.1942 in the War Diary of the Wehrmacht Military Commandant in the General Government, whereby "OK Ostrow reports that the Jews in Treblinka are not adequately buried and as a result an unbearable smell of cadavers pollutes the air.". Earlier in the book, Mattogno tries to get rid of this inconvenient evidence in a lengthy section that has been addressed in a separate article. a) Except for those in the upper layers, the corpses in the AR mass graves would already have started decomposing by the time a mass grave was closed. b) The mass graves were dug in sandy soil, which facilitates drainage of fluids into the soil (whereas in the Ocvara mass grave, clay soil led to moisture being trapped inside the grave). c) The Ocvara grave was covered by a thick and firmly compacted overburden, whereas the mass graves at the AR camps were covered with thin layers of sand. d) Exposure of the corpses to sun and heat, especially in the upper layers, facilitated decomposition in the AR mass graves. The far-reaching stench of decomposing corpses emanating from these corpses is borne out by various testimonies besides the above-mentioned entry in the War Diary of the Wehrmacht Military Commandant in the General Government, and was probably what led to early cremation attempts at Bełżec and Treblinka and to a change in the Sobibór camp’s body disposal method at a relatively early stage. The degree of decomposition in the AR camps’ mass graves may be further addressed in the context of cremation, when discussing chapter 12 of MGK’s magnum opus. For now it is sufficient to note that, just like mass-buried animal carcasses, the corpses in these graves are likely to have released one-third of their mass as leachate into the soil within the first two months after burial, half thereof within the first week. As demonstrated above, this alone means that it would have been sufficient, in order to accommodate the Bełżec death toll borne out by Höfle’s report, to bury corpses in the 33 mass graves identified by Prof. Andrzrej Kola’s team at a concentration of 10.7 corpses per cubic meter. This, in turn, means that Mattogno’s subsequent argument – another milk-maid calculation meant to support the claim that the mass graves at Bełżec would have been filled within a relatively short time and decomposition therefore can have had no appreciable impact on the available grave space – can be safely ignored in this context, and we can move on to Mattogno’s arguments regarding early cremation activity in this extermination camp. Regurgitating an argument that was already refuted in a previous rebuttal, Mattogno claims there is a contradiction between Pfannenstiel’s testimony on 25 April 1960, which mentions the partial burning of corpses in the mass graves, and Gerstein’s account which mentions no such burning. As Pfannenstiel and Gerstein were at Bełżec together on the same day, Mattogno argues, it not possible that one of them should have noticed the burning and the other not. Mattogno accuses me of "bad faith" for having feigned not to notice this contradiction, and of lacking a "critical mind" for claiming that both the reduction of the corpse volume due to decomposition and the partial burning of the corpses mentioned by Pfannenstiel took place. Apparently Mattogno believes that these two phenomena are mutually exclusive, though he doesn’t explain why this should be so, and there is no reason why it should be unless all corpses in the graves were completely destroyed by burning. According to Pfannenstiel this was not the case, for he expressly stated that "the corpses burned just partly", and his testimony doesn’t allow for establishing to what extent it was attempted to burn buried corpses before the overall cleanup starting in November 1942. As to the "bad faith", Mattogno is projecting his own behavior, for he is aware that, according to historian Michael Tregenza, Gerstein must have been at Bełżec more often than his visit together with Pfannenstiel. A statement in this sense was made by Pfannenstiel himself during one of his depositions, when he surmised that the contradictions between his and Gerstein's account were due to Gerstein's having conflated what he saw during several visits to Bełżec into the description of a single gassing and body disposal procedure. Mattogno omits this important statement, for obvious reasons. Forgetting his earlier remark about my lacking a "critical mind", Mattogno makes much of Pfannenstiel’s having mentioned that the corpses "combusted only partially", and interprets Pfannenstiel’s having stated that the burning happened when the pit was "rather full" as meaning that only the upper layer of bodies was charred, and that with "a very small reduction of volume", amply compensated by the layer of earth then thrown over the corpses. However, partial combustion doesn’t necessarily mean that the bodies were merely charred "with a very small reduction of volume". In fact the reduction may have been considerable, as in the case of the partially burned corpses photographed by Soviet cameramen at Klooga concentration camp. Pfannenstiel’s description is arguably corroborated by the diary entries of Wehrmacht non-commissioned officer Wilhelm Cornides, though Mattogno also disputes that. After bragging that I only know the source second hand whereas he relates to the original text, Mattognos refers to the very same source that I did. When passing the camp by train, Cornides noted a sweetish smell, which then became an acrid burning odor. Mattogno contends that this does not necessarily mean that the burning odor came from cremations, "moreover because in such cases eyewitnesses normally speak about the smell of burned hair or burned flesh". Do they? Not that I know, and it seems unlikely unless eyewitness have prior knowledge of what burned hair or burned flesh smell like. And assuming they do, this does not rule out the possibility that the smell-witnesses in question were noticing the smell of the body burning described by Pfannenstiel. Moving on to Sobibór, Mattogno addresses my calculations in the critique whereby the burial density in the Sobibór mass graves had been about 9.1 corpses per mᶟ, somewhat less than the concentration I had calculated for Bełżec. In their Sobibór book, MGK had faultily calculated a density of only 5.8 corpses per cubic meter and remarked that, as the burial density at Bełżec "would have been (434,508 ÷ 19,654 =) 22.1 bodies per m³", the much lower density at Sobibór "contradicts the notion that the Sobibor camp staff did their best to utilize the available burial space as effectively as possible". Now Mattogno argues that, as the corpses in all three AR camps were "declared" by me to have been layered inside the mass graves in a space-saving manner, and given the "diminutive nature of the Polish Jews’ corpses", the concentration of corpses inside the mass graves should have been equal at all three camps. The reasons for the apparent lower concentration at Sobibór that I mentioned – less deportee "traffic" to be handled than at Bełżec, Sobibor’s body disposal procedure having changed from burial to burning at a relatively early stage – Mattogno bluntly dismisses as "unsatisfying", but he fails to reveal the reasons for his verdict, which is no surprise. The density of 22.1 corpses per cubic meter at Bełżec that MGK apparently consider possible is their figure, not mine. I started out with 19.51 corpses per cubic meter not factoring in the stretching effects of decomposition and "sanitary" top-down burning. Right now, considering that corpses were piled above the rim of the graves as described by Reder, and considering only the mass loss due to leachate in closed mass graves (i.e. without factoring in mass loss prior to the graves’ closure and the stretching effects of partially burning the corpses), I can do with an original burial concentration of 10.7 corpses per cubic meter, as demonstrated above. As concerns the straw-men about "diminutive" Jewish corpses, Mattogno wouldn’t be who he is if he had not "forgotten" to consider that, unlike Bełżec, Sobibór handled a considerable number of deportees from outside Poland, people who had not yet seen their mass reduced by the rigors of ghetto life, and who were presumably also of larger stature than the Jews of Eastern Poland. Mattogno notes that according to Prof. Kola the total surface of the burial pits he discovered at Bełżec was about 0.52 ha, which amounts to only 9 % of the camp’s territory in its present shape, and argues that this precludes the argument that grave space was a more precious commodity – and thus more efficiently used – at Bełżec than at Sobibór. However, this argument falls flat unless there was lot of idle space at Bełżec (i.e. camp space not needed for functions other than burial) that could have been used to make further graves. Interestingly, Mattogno’s contention that more of the Bełżec area than Kola’s 33 graves could have been used for mass burial matches Alex Bay’s air photo analysis whereby there were in fact mass graves not identified by Kola at Bełżec. In order to reduce the concentration of corpses in the Sobibór mass graves as much as possible, Mattogno disputes my reading of Prof. Kola’s description of mass graves nos. 1 and 2 whereby these were pits used for burning corpses and not burial pits. After conceding that Kola’s professional colleague Wojczech Mazurek agrees in that these graves were "crematory in character", Mattogno indulges in a linguistic exercise meant to demonstrate that Kola described these graves as pits containing (only) cremation remains, but not (unlike he did in regard to grave no. 7) as places where cremation of corpses was conducted. He further argues that the depth of these graves (4 m and 4.30 meters respectively) belies the notion that cremation of the corpses was conducted therein insofar as grave no. 7, expressly referred to by Kola as a body burning site, was only 0.9 meters deep. This argument is rather moot in this context, for independently of whether graves nos. 1 and 2 were sites of cremation of merely dumping grounds for cremation remains, the fact is that, unlike graves nos. 3, 4, 5 and 6, they contained no unburned human remains, which in turn means that only the volume of the latter four graves must be taken into consideration in establishing burial density at Sobibór. After belaboring that the concentration of 9.1 corpses per cubic meter I calculated for Sobibór would do little to remove the supposed contradiction in burial densities in regard to Bełżec, and accusing me of having deducted from the available Sobibór burial a 30 cm sand cover considered in MGK’s Sobibór book while not having done the same regarding Bełżec (Mattogno furiously hollers about my "hypocritical opportunism", but the difference is wholly justified in that there is no evidence to a 30 cm cover layer at Bełżec, on the contrary: Reder’s testimony suggests that the corpses were piled above the rim of the grave, see above), Mattogno further tries to expand Sobibór burial space by adding 250 mᶟ for a recently discovered eighth grave. In doing so, Mattogno conveniently omits the fact that this eighth grave, like graves nos. 1, 2 and 7 in Prof. Kola’s report, was found to contain only cremation remains. - Assuming 100,000 corpses: 10.50 corpses per cubic meter. Now, were all these graves filled to capacity? The depositions of Bolender and Gomerski suggest that one mass grave was completely filled, another partially filled and a third one not used at all. It is thus entirely possible that the overwhelming majority of the corpses buried at Sobibór before the camp’s body disposal method was changed to cremation ended up in the first of these graves, whose burial volume I’ll conservatively assume to have been equal to the calculated volumes of Kola’s graves 3 and 4 together, 8,025.30 cubic meters. It is possible that 80,000 out of 90,000 buried bodies ended up in that grave, making for a concentration of about 10 corpses per cubic meter. It is also possible that 90,000 out of 100,000 buried bodies ended up in that grave, making for a concentration of about 11 corpses per cubic meter. The latter would correspond to the original concentration of corpses in the Bełżec mass graves, i.e. the concentration at which corpses were buried before loss of fluid (leachate) reduced their volume and made burial space available for reuse, or at which corpses were buried in such reused burial space. If Mattogno’s rhetoric as concerns Sobibór was unduly triumphant already, he adds a further note by trumpeting that, as concerns Treblinka, my "desperation" is "even bigger", and that my "unfounded conjectures" regarding mass burial at this camp have been "swept away by Caroline Sturdy Colls’s investigation". Unfortunately for Mattogno, his braggadocio suggests that he didn’t even read (or failed to understand) the "examination by Thomas Kues in chapter 8" that he so proudly refers to. Kues has essentially regurgitated what he wrote in an earlier article, in which he acted as if the 10 "probable burial/cremation pits" outside the memorial area whose discovery forensic archaeologist Caroline Sturdy Colls had published in January 2012 had been claimed to be the only burial or cremation pits at Treblinka extermination camp, or as if there were a reason to expect no further pits. Both is of course utter nonsense, as I demonstrated in my in my commentary of Kues article; what all available evidence and Sturdy Colls’ own statements about the status of her fieldwork lead to conclude is that the mentioned pits are only some out of many more pits in the Treblinka extermination camp’s area, or parts of much larger pits. In chapter 8 of the MGK’s magnum opus Kues qualified a bit on the euphoria of his earlier article, commendably citing (p. 1059) an interview with Sturdy Colls appearing in a Dutch newspaper in 2012, wherein she expresses her belief that "most of the mass graves are located under the granite stones" of the memorial. Not so commendably, but still not supporting Mattogno’s aforementioned "swept away" fantasy, Kues then muses (with more wishful thinking than logic) about what it would imply if "only a few additional pits of the same size as the hitherto detected ones" or "none at all" are found "under the covered part of the memorial" in the course of future archaeological investigation. Besides not backing up Mattogno’s heavy-handed "swept away" claim, Kues redoes the calculations of the so far discovered pits' size and possible occupancy a little. Previously he claimed the area of these pits to be 1,800 + 6-700 = 2,400 to 2,500 square meters. Now he states (p. 1057) that the 10 pits "cover a surface hardly exceeding 3,500 m²", before postulating a depth of no more than 4 meters, which requires him to ignore the 7.5 meters depth established by Judge Łukaszkiewicz and mentioned in his report of 13 November 1945. If the pits were 7.5 meters instead of 4 meters deep, as Łukaszkiewicz’ forensic examination (which Kues is aware of and mentions in support of one of his arguments, p. 1062) suggests, the volume assuming vertical walls would be 26,250 m³, instead of the 14,000 m³ postulated by Kues. Assuming that the walls would have to be sloped at such enormous depth to prevent them from collapsing, the volume would be about 68 % of that according to Alex Bay’s calculations - 17,850 cubic meters. Even assuming only 8 corpses per cubic meter, this volume could take in 142,800 corpses. At the more probable density estimated by Bay (at least 100,000 corpses in a "useful" pit volume of 8,502 m³ = ca. 12 corpses per cubic meter), the possible contents would be 214,200 corpses. But even the lower number is far in excess of what Kues’ musings about the "en route death ratio" for transports to Treblinka and the subjection to "euthanasia" of "a smaller percentage of the deportees afflicted with contagious or mental diseases or being too weak for further transport" (p. 1058) can explain. So much for Kues, now back to his elder (and more hysterical) co-author. c) whereas Sobibór changed its body disposal method from burial to cremation before taking in a substantial part or even the majority of its deportees, Treblinka used burial as its essential body disposal method during the period that saw by far the largest influx of deportees, while cremating bodies right away only in a 1943 period of comparatively little "traffic" – much like Bełżec, where burial was the (main) disposal method during almost the entire period of killing operations. At 8.40 corpses per mᶟ: 85,899 mᶟ, 12,643 m². The above values don’t take into account grave space recovery due to the corpses’ decomposition or early cremation attempts. Depending on whether one considers the area of Treblinka’s extermination sector (the "Upper Camp" or "Death Camp") to have been 41,880 m² or 41,390 m², the largest of the above areas (12,643 m²) would correspond to ca. 30.2 % - 30.6 % of the extermination sector’s total area, if all corpses had been buried in that sector. At 8.40 corpses per mᶟ: 86,481 mᶟ, 12.731 m². The largest of these areas would correspond to ca. 30.4 % - 30.8 % of the extermination sector’s total area, and to ca. 71 % of the 1.8 ha area called the "area of cremation" on a survey map related to Judge Łukaszkiewicz investigation of the Treblinka crime site in November 1945. The more realistic smaller area with a concentration of 10.5 corpses per cubic meter, which is lower than the concentration calculated by Alex Bay for corpses with the measurements of Da Vinci’s "Vetruvian Man", would correspond to ca. 24.3 % - 24.6 % of the extermination sector’s total area, and to ca. 56 % of the "area of cremation". Mattogno has presented no arguments whereby any of these percentages would be implausible and imply that grave space in the extermination sector was insufficient, at least without factoring in the presumable recovery of grave space due to the corpses’ loss of volume as they released leachate into the soil, which hasn’t been considered in the above calculations. And even if he had, he would still have to reckon with the possibility of grave space recovery due to release of leachate and evidence whereby at least a part of the corpses were burned prior to the overall exhumation and cremation procedure, thus freeing grave space for further corpses or otherwise reducing the amount of grave space required. However, and just like Bełżec, the original burial concentration at Treblinka was probably higher than either the highest concentration considered above for Sobibór or the concentration corresponding to Bay’s "Vetruvian Man" calculations, due to the above-mentioned differences between Sobibór on the one hand and Bełżec and Treblinka on the other. Considering only that the corpses buried at Treblinka included a large proportion of women and children, i.e. persons with a body volume lower than that of the "Vetruvian Man" (who he assumed to be normally fed and not malnourished), Bay concluded that at least 100,000 corpses could fit into a mass grave with an area of 1,250 m² and a volume (corrected for sloping) of 8,502 mᶟ, a concentration of 11.76 corpses per cubic meter. At this concentration, the burial of 726,441 corpses in Treblinka’s extermination sector would have required a volume of ca. 61,762 mᶟ and an area of ca. 9.081 m², corresponding to 21.7 – 21.9 % of the extermination sector’s total area and little more than half of the "area of cremation". a) The mass graves at Treblinka were closer together whereas at Bełżec they were more scattered, which is also suggested by their placement as established by Prof. Kola. Accordingly remains were scattered over a larger area at Bełżec than they were at Treblinka. b) The "area of cremation" shown on the Treblinka survey plan was not the only part of the extermination area that contained mass graves, but merely that part of the area(s) containing mass graves which had been turned over by robbery diggers by the time of Łukaszkiewicz’ investigation in November 1945. If the Bełżec area containing mass graves and thus covered by human remains was about 2.6 ha, this also further supports the observations of Alex Bay whereby there were mass graves in the Bełżec mass extermination camp area not discovered by Kola. Mark that Kola found graves only in the camp’s north and north-east, whereas Godziszewski, according to Mattogno’s understanding, mentions graves along the camp’s whole eastern border. 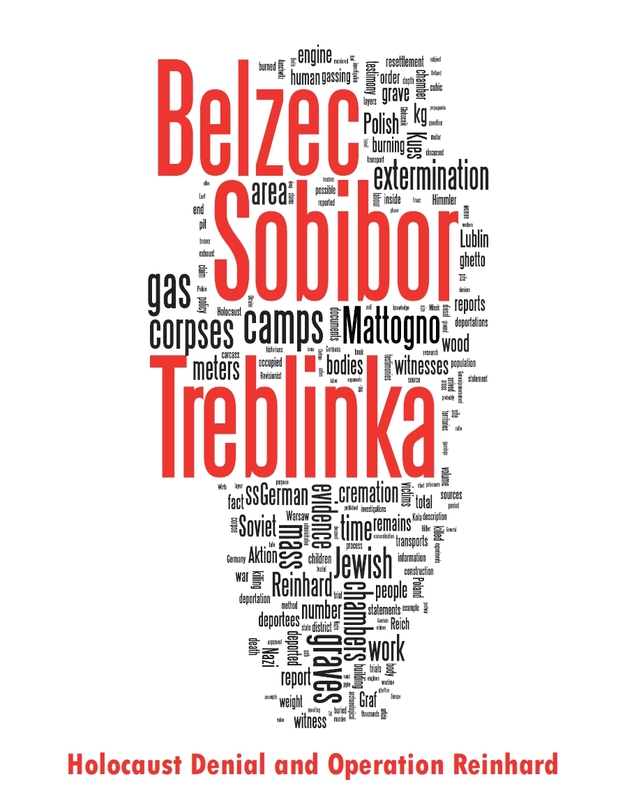 Mattogno further argues that "the explosions caused by the Soviets at Treblinka shattered and scattered over a very large area the human remains which previously lay in single points of the camp", and that "this confirms that no relation exists between the alleged surface in which the human remains were scattered and the surface of the mass graves". The argument is not conclusive as it is also possible that the explosions would throw up the remains inside the graves, after which they would again fall down in more or less the same area. Even assuming wider scattering, this wouldn’t mean that "no relation exists" between the area covered by human remains and the area containing mass graves. It would only mean that the area over which human remains were scattered is but a rough indication of mass grave area’s size. Mattogno also has a problem with the depth of the Treblinka mass graves that is suggested by the results of Judge Łukaszkiewicz’ investigation in November 1945 - 7.5 meters, i.e. the depth at which excavation reached untouched soil in a crater obviously blown into one of the Treblinka mass graves. His argument is that the 7 mass graves identified by Prof. Kola at Sobibór "had an average depth of about 4.15 m, the deepest of them measuring 5.80 m". Why this should rule out deeper graves at Treblinka (which didn’t have the problems encountered at Sobibór, where proximity to underground waters required replacing burial by burning as a body disposal method), Mattogno doesn’t explain. The rest of Mattogno’s considerations about grave space at the AR camps includes calling Alex Bay’s projection and Peter Laponder’s Treblinka map mere "conjectures" and making a lengthy fuss about how they have been "swept away" by the finds of Caroline Sturdy Colls. The comparatively reduced area of the grave pits identified by this forensic archaeologist, Mattogno triumphantly concludes, would imply that "the Jews deported to Treblinka were descendants of the lost tribe of Lilliput". Given that no one (other than Mattogno) claimed that CSC conducted a complete survey of the Treblinka burial area and identified all graves contained therein (as mentioned by Mattogno’s colleague Thomas Kues, see above, CSC herself holds that "most of the mass graves are located under the granite stones" of the memorial and have not yet been identified by her), remarks like this are of no interest except for what they reveal about Mattogno’s infantile mind. The "conjectures" of Bay and Laponder, on the other hand, are based on evidence and common sense and stand head and shoulders above Mattogno’s baseless fantasy whereby the deportees to the AR camps were "transited" through these camps to the occupied Soviet territories without said "transit" and the subsequent resettlement leaving any evidence whatsoever, and then mysteriously disappeared without a trace. Mattogno should get used to the idea that, where all known evidence points to a certain conclusion the way all known evidence related to the AR camps points to systematic mass murder on an enormous scale, there is nothing wrong in filling with reasonable suppositions the gaps in evidence regarding certain particulars, whereas demanding that these particulars be wholly proven by evidence is not only unreasonable, but also dishonest. "Muehlenkamp states that in this camp, to which he attributes 157,000 victims, four mass graves were present with a total surface of 5,393 m2 and a volume of 16,179 m3 (see point 15). It is known that the corpses were buried in the mass graves until spring of 1942 and by the end of June of that year there were ca. 101,000 corpses according to orthodox holocaust historiography, therefore this is the maximum number of buried corpses. The author from which I take this number calculates a total of 172,230 deportees, however, in contrast to the 157,000 generally believed (which is 91.16% of the former total), and therefore it can be assumed that the above-mentioned number should be reduced by 8.84%, which results in 92,500. The density was therefore (92,500 ÷ 16,179 =) 5.7 corpses per m³, practically identical with that of Sobibór (5.8)." The "5.8" claim regarding Sobibór has been duly deconstructed above. As concerns Chełmno, a lower burial density at that camp must logically be factual if it is to contradict a higher burial density at Bełżec and Treblinka. This means that the above-quoted argument (notwithstanding the feeble "orthodox holocaust historiography" caveat) amounts to a concession that at least 92,500 corpses were buried in the Chełmno mass graves, and thus wreaks havoc with one of Mattogno’s favorite pet theories. Even worse for Mattogno, the argument doesn’t even serve its intended purpose, for a lower burial density at Chełmno may just as well mean that the perpetrators at that place were not as zealous about economizing mass grave space as their colleagues at the AR camps (or at least at Bełżec and Treblinka), it being furthermore possible that they didn’t fill the graves or all of them to capacity. The comparatively lower depth of the graves at Chełmno, which were no more than 3 meters deep whereas the depth of the AR camps’ graves reached 5.2 meters at Bełżec, 5.8 meters at Sobibór and 7.5 meters at Treblinka, is an indication that at Chelmno the killers were not as pressed to save space as they were at the AR camps. Where Mattogno would like to see "a series of insuperable contradictions", what is actually hard to beat is the nonsensicality of Mattogno’s self-defeating arguments. Many aspects of Gerstein's testimony are unquestionably problematic. Several statements he attributes to Globocnik are clearly exaggerated or false, and it is not clear whether Gerstein or Globocnik was the faulty source. In other statements, such as the height of the piles of shoes and clothing at Belzec and Treblinka, Gerstein himself is clearly the source of exaggeration. Gerstein also added grossly exaggerated claims about matters to which he was not an eyewitness, such as that a total of 25 million Jews and others were gassed. But in the essential issue, namely that he was in Belzec and witnessed the gassing of a transport of Jews from Lwow, his testimony is fully corroborated by Pfannenstiel. It is also corroborated by other categories of witnesses from Belzec. Independently of whether you soberly call Gestein’s obviously exaggerated measurement data an exaggeration (as Browning does) or hysterically scream about a "ridiculous lie" as Mattogno does (a deliberate exaggeration is a lie, by the way), they don’t change the fact that Gerstain was right about other aspects regarding which his testimony is corroborated by evidence independent of it, and may thus also have been right regarding aspects not independently corroborated that, unlike his measurement exaggerations, are not preposterous but something that the witness could very well have observed and rendered accurately. What applies to Gerstein also applies to Reder. This witness’s claims about the size of mass graves and the number of victims at Bełżec are obviously off the mark and not to be taken seriously, but there’s no reason why Reder should have been mistaken about the type of fuel he carried, a deliberate falsehood being improbable as Reder was not aware of the "controversial" relevance of this detail in (i.e. of the fuel being gasoline and not diesel), and at least one Bełżec eyewitness independent of Reder and several knowledgeable eyewitnesses from Sobibór and Treblinka also described the gassing engine as a gasoline engine. As shown by independent corroboration, Reder was also right about a certain aspect of the gassing process regarding which his testimony has been abundantly pooh-poohed by "Revisionists", the assertion that "the exhaust gases of his gasoline engine were vented not into the gas chambers, but into the open air!" (Mattogno) . There is also no reason why Reder’s above-quoted description of the burial procedure, in which corpses were placed above the rim of the mass graves, should be mistaken. Hypocrisy is not accepting or dismissing parts of eyewitness testimonies based on objective criteria, on plausibility and independent corroboration or the absence thereof. Hypocrisy is something else. Hypocrisy is when you use in support of "Revisionist" arguments, based on no criterion other than convenience, certain parts of a testimony that you otherwise dismiss (based on no criterion other than inconvenience, with certain actual or alleged inaccuracies as a pretext) as a collection of lies or lunatic ravings from start to finish. That’s the kind of hypocrisy that charlatans like Mattogno excel in. The "bad faith" that Mattogno accuses his opponents of is actually to be found in who, like Mattogno and his associates, perversely cherry-picks in support of his arguments convenient snippets of testimony otherwise unreasonably pooh-poohed as wholly unreliable. In the critique (pp. 427-28) I calculated that the sand extracted from the mass graves in Treblinka’s extermination sector, assuming these had a volume of 60,130 m³, would (considering the maximum dilation factor of 1.25) have made one or several piles 6 meters high and 10 meters wide, narrowing towards the top in the same manner as a pit with sloped walls narrows towards the bottom, with a length of 1,842 meters in total – a far cry from the 4.4 kilometers postulated by Mattogno, and thus not presenting the space problem that Mattogno had claimed. 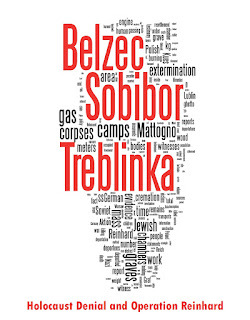 With the currently assumed volume of 61,762 mᶟ for 726,441 corpses buried in Treblinka’s extermination sector (which, once again, does not factor in possible grave space recovery due to leachate released by the decomposing corpses and partial cremation), the total length would increase by 50 meters to 1,892 meters. Mattogno’s only argument against this calculation (pp. 1263f.) is to restate his higher volume claims based on an unrealistically low concentration of corpses ("If 760,424 corpses had been buried in Treblinka, then a mass grave volume of (760,424 ÷ 8 =) 95,053 m³ would have been necessary"), so he swiftly turns to making a speech about my side remark that what sand was not used for the embankments could be left by the mass graves, or it could be taken out of the extermination sector or out of Treblinka extermination camp altogether. As concerns the latter possibility I had referred to a Soviet army report of August 1944, quoted in Mattogno & Graf’s Treblinka book, whereby the trains bringing the victims left the camp "either loaded with sand or empty". Mattogno contends that the sand loaded on the trains might just as well have come from the quarry between Treblinka I and Treblinka II, and relishes in a calculation, based on documented figures about sand shipments from Treblinka, of how many freight trains it would have taken to ship away even half the minimum amount of sand I had considered in my calculations. As I had not claimed that all or even a substantial part of the sand excavated from the Treblinka mass graves was shipped out of the camp, this calculation serves no purpose other than to impress gullible fellow "Revisionists". By mentioning the gravel quarry as the possible source of sand filling the railway cars leaving Treblinka after unloading the deportees, on the other hand, Mattogno unwittingly points out that quarry (from which sand would thus have been brought to the extermination camp, and to which sand may accordingly have been taken from there) as a possible place where sand not stored inside the extermination camp may have been deposited. A part of this sand may have been shipped out together with sand from the quarry, while another part – if necessary together with additional sand from the quarry – would have later been used to backfill the graves after they had been emptied and the bodies cremated. Regarding Bełżec, Mattogno responds to my calculations about the amount of sand removed from the mass graves discovered by Prof. Kola and the related transportation requirements by claiming a much higher amount of sand corresponding to the mass grave space that his much lower burial densities would have required. Ironically the maximum amount of sand he now postulates – 75,652 m³, or 83,217 m³ considering a dilation factor of 10 % – is not much higher than the 82,500 m³ he had claimed in his book about Bełżec. In the critique (p. 429) I had pointed out that even this amount could have been removed within 100 days, which was much less than the gassing operations at Bełżec lasted, with no more than 24 trucks. Mattogno conveniently ignored this demonstration that his overestimate was irrelevant. See, for instance, the judgment LG Düsseldorf vom 3.9.1965, 8 I Ks 2/64: "Zur Aufnahme der aus den Gaskammern kommenden Leichen der getöteten Juden dienten riesige Gruben, in denen die Leichname reihenweise abgelegt und jeweils mit einer dünnen Sand- oder Chlorkalkschicht abgedeckt wurden. " - "For taking in the corpses of the killed Jews coming from the gas chambers there were gigantic pits, in which the corpses were layered in rows and each layer was covered with a thin layer of sand or chlorinated lime." EdV, p. 53 and footnote 61 on pp. 470-471. "Evidence for the Implementation of the Final Solution: Electronic Edition", by Browning, Christopher R. ([link]), section 5.4.1.2. Quoted after Friedrich Jansson’s blog "Memo for the controversial bloggers, part Va: The sum of all errors: Roberto Muehlenkamp – burial space and decomposition" ([link], which refers to Demjanjuk trial, 25.2.87, pp. 1008-1009. For discussion of this blog see my blog "On "Revisionist" error nitpicking (4)"
([link]). The source of Jansson’s quote seems to be a collection of excerpts from transcripts available under [link], where Rosenberg’s quoted account is recorded under "T001008 - T0001009; February 25, 1987". Thanks to my fellow HC blogger Hans for pointing out this link. In chapter forty-one of his book Useful Enemies: America’s Open-Door Policy for Nazi War Criminals, Richard Raschke rendered the pertinent part of Rosenberg’s deposition as follows: "There was a thick, viscous material, almost like lava from a volcano, which bubbled on the top of the pits. The earth would rise and then subside. As it fell, we would be ordered to throw in another layer of corpses." Thanks to Jonathan Harrison for providing this quote. "How can the idiocies allegedly reported by Stangl be taken seriously? " Note that Mattogno, apparently aware of how weak his arguments against Stangl’s descriptions are, tries to play it extra safe by insinuating – without any support – that Stangl may not have made the statement in question. Said statement is rendered on p. 169 of Kogon, Langbein, Rückerl et al (editors), Nationalsozialistische Massentötungen durch Giftgas, after Gitta Sereny’s rendering in Into that Darkness of her conversations with Stangl. A chemist "assigned to the bonification of the battlefields of Sédan of the German-French war of 1870/71" (Extermination Camps, p. 1246. The chemist’s quoted observations are referred to M. Créteur, "La pratique de la crémation des cadavres sur les champs de bataille de Sédan en 1871," in: Revue d’Hygiène et de Police Sanitaire, XXXVII, 1915, p. 561.). The Australian Museum’s webpage "Stages of Decomposition" ([link]). The stages mentioned by this source are "putrefaction" (4 to 10 days after death in the open), in which the body becomes bloated due to gasses forming inside, "black putrefaction" (10 to 20 days after death), in which the bloated corpse collapses and a large volume of body fluids drain from the body and seep into the surrounding soil, "butyric fermentation" (20 to 50 days after death), in which the body dries out and forms butyric acid, and "dry decay" (50 to 365 days after death), in which the body is reduced to just bone and hair. See the blog "Belzec Mass Graves and Archaeology: My Response to Carlo Mattogno (4,2)" ([link]). Webpage "How long does it bring for a human body to completely disintegrate after it's be embalm?" ([link]): "Decomposition in the atmosphere is twice as fast as when the body is lower than water and four times as hastily as underground. ", and Alan Gunn, Essential Forensic Biology, Chichester: Wiley, 2009, p.30: "Buried corpses decay approximately four times slower than those left on the surface, and the deeper they are buried, the slower they decay (Dent et al., 2004)." See the blogs "Belzec Mass Graves and Archaeology: My Response to Carlo Mattogno (4,1)" ([link]) and "Belzec Mass Graves and Archaeology: My Response to Carlo Mattogno (4,2)" ([link]). Friedrich Jansson argued that Vass was referring to the average of temperatures throughout a 24-hour period as opposed to maximum or average daytime temperatures, but in doing so forgot to read the caption of a photograph in Vass’s article, which points to the latter (maximum or average daytime temperatures). See the blog "On "Revisionist" error nitpicking (4)" ([link]). The wording illustrates the "Revisionist" mindset that Mattogno exemplifies. For him and others of his persuasion, historiography is not about what can or must reasonably be accepted as a historical fact based on the available evidence, but about what one is or not "willing to believe". For discussion of Mattogno’s earlier considerations about wax-fat transformation, see the blog "Belzec Mass Graves and Archaeology: My Response to Carlo Mattogno (4,2)" ([link]). EdV, p, 113, my translation. Quoted in Browning, Evidence, section C – "Documentary Evidence concerning the Camps of Belzec, Sobibor, and Treblinka". According to Knight's Forensic Pathology, quoted by Jansson: If the body is rotting before burial then, although the process slows down, it will still severely damage the corpse, as enzymatic and bacterial growth have had initial encouragement from a higher ambient temperature and free access of air, thereby producing conditions in which secondary invaders (including anaerobes) can continue their work in a good culture medium that is already partly liquefied by the earlier stages.. At Treblinka extermination camp during the command of Dr. Eberl, many corpses were already in a state of decomposition before they were thrown into the mass graves, as becomes apparent from former SS-man Franz Suchomel’s account to his interviewer Claude Lanzmann (translation under [link], film record of the interview under [link]) and the report of Treblinka inmate escapee Abraham Krzepicki ("Eighteen Days in Treblinka", in: The Death Camp Treblinka. A Documentary, edited by Alexander Donat, New York 1979, pages 77 to 144, available online under [link]). As mentioned in the judgment LG Hagen vom 20.12.1966, 11 Ks 1/64. See the translated excerpt from that judgment under [link]. Which, again, were not the only mass graves in the camp according to Alex Bay’s air photo analysis. Deposition of Pfannenstiel before the Darmstadt Court on June 6, 1950, translation in Friedländer, Saul, Counterfeit Nazi, New York: Knopf, 1969, online transcription under [link]: "As he told me himself on that occasion, he had been to Belzec a number of times. It is possible that he may have witnessed scenes similar to those he describes and that, in his report of April 26, 1945, he was no longer differentiating between the visits, but giving a summary picture of them. " Photos shown in the blog "Belzec Mass Graves and Archaeology: My Response to Carlo Mattogno (4,1)" ([link]. H. Rothfels "Zur ‘Umsiedlung’ der Juden im Generalgouvernement", Vierteljahreshefte für Zeitgeschichte, 1959, Heft 3, pp.333-6. I just forgot to mention the volume of the VfZ collection, which to Mattogno means that I’m "unable to furnish the page on which the quoted passage appears". See, for instance, the US Federal Rules of Evidence ([link]), Rules 801 to 807. "The Reconstruction of Belzec" ([link]). See W. Mazurek’s Spring 2011 report ([link]), emphases added: "To the south of the grave no. 7 encountered and reconnoitered in the excavations with the use of boreholes range of the another mass grave (object 882). It has a rectangular shape with dimensions about 25 x 5m, the longer axis lies on the axis of the W-E. Depth of the object is about 190- 210 cm, in floor layers there were found 3 layers of the burned bones of about 10-15 cm thickness, separated by layers of clean, light gray sand." Layers of burned bones separated by layers of "clean, light gray sand" are no indication that the grave was used for anything other than to deposit cremation remains. The fill of burned bones is also mentioned on p. 127 of Bern/Mazurek’s publication quoted by Mattogno ([link]): "In its foot-wall, the excavators found 3 layers of burnt bones, with the bone thickness of 10-15 cm, interlaced with layers of clear, light grey sand." For some reason, honest-as-ever Mattogno thought it convenient to leave that sentence out of his quote. As mentioned on p. 422 of the critique, the number of people killed in the first phase of the camp’s operation is given by Yitzhak Arad as "90,000 to 100,000" or as "one third of the 250,000 victims in this camp". See critique, footnote 30 on p. 394. "Most" does not mean "all", which dovetails with CSC’s mention, in the BBC Radio 4 broadcast "Hidden Graves of the Holocaust" on 23 January 2012, 20:00 GMT ([link]), transcribed in my aforementioned blog, of a wooded area outside the memorial, regarding which her team had been "urged by a few visitors who’ve come here to look in the forest and not just be drawn to the open area there". As long as it has not been definitely established that the area of Treblinka extermination camp contains no graves large enough to accommodate the hundreds of thousands of deportees allegedly "transited" to the occupied Soviet territories via Treblinka - without the name of even one of the "transited" deportees having become known to date, see the blog "Challenge to Supporters of the Revisionist Transit Camp Theory" ([link]), among other absurdities of this pathetic "theory" - , nothing has been "swept away"). "The Reconstruction of Treblinka" ([link]). 68 % is the quotient between the volume available for burial in a pit sloped pit 50 meters long, 25 meters wide and 10 meters deep and the volume that would be available if the walls were vertical. "The grave space accordingly required to bury the ca. 721,555 Jews murdered at Treblinka in 1942, with the density of ca. 12 corpses per cubic meter assumed by Bay, was somewhat smaller: 721,555 ÷ 12 = 60,130 cubic meters, corresponding to a surface area of 60,130 ÷ 76,518 x 11,250 = 8,841 m² (roughly 21-22 % of the "Death Camp" sector’s entire area)." (critique, p. 427). See Table 8.1 of the critique, which mentions the following deportations to Sobibór in 1942: 24,378 from Slovakia, 6,000 from the Protectorate Bohemia and Moravia and 10,000 from the Reich and Austria. AutoCad calculations by Sergey Romanov, the former on Alex Bay’s air photo analysis, the latter on a map by Peter Laponder (see critique, pp. 424-427). Młynarczyk, Jacek Andrzej, "Treblinka – ein Todeslager der "Aktion Reinhard"", in: "Aktion Reinhardt". Der Völkermord an den Juden im Generalgouvernement 1941-1944, edited by von Bogdan Musial. – Osnabrück: fibre Verlag, 2004, pp.257-281. , cremation of corpses started in November 1942. Eyewitnesses Abraham Krzepicki ("Eighteen Days in Treblinka", Donat, The Death Camp Treblinka. A Documentary, pages 77 to 144) and Jankel Wiernik ("One Year in Treblinka", Donat, pp. 147-188) mention huge pits in what was obviously the camp’s receiving area. English translations of these witnesses’ accounts are transcribed under [link]. Shapes of such graves were identified by Peter Laponder on a September 1944 air photograph of the camp’s area (see critique, pp. 398f.). Dieter Pohl, "Massentötungen durch Giftgas im Rahmen der ‘Aktion Reinhardt’: Aufgaben der Forschung" in: Günter Morsch, Betrand Perz (eds. ), Neue Studien zu nationalsozialistischen Massentötungen durch Giftgas. Historische Bedeutung, technische Entwicklung, revisionistische Leugnung, Metropol, Berlin 2011, p. 194. Abraham Krzepicki stated that there were 10,000 corpses lying around in the lower camp. He also stated that a transport of 6,000 from Międzyrzec came after his arrival and that almost all of its occupants were dead. Krzepicki was in Treblinka for only 18 days. Considering this and what other evidence suggests about the death toll en route to Treblinka during its chaotic initial period under the command of Dr. Irmfried Eberl (e.g. Hubert Pfoch’s account of quoted in Sereny, Into that Darkness, pp. 158-59, which mentions lots of deportees shot at one station from a transport to Treblinka encountered by this German soldier on his way to the Eastern Front on 21 August 1942 - "at least fifty dead, women, men and children, some of them totally naked, lie along the track corpses on both sides of the track", further corpses thrown off that transport as it approached Treblinka, and at Treblinka station "there is such an awful smell of decompsoing corpses in the station, some of us vomit") - it doesn’t seem far-fetched to assume that the 16,000 corpses mentioned by Krzepicki were less than a third of those who died on transports during the Eberl period. The death toll on transports in the Stangl period was less, but Glazar still mentioned trains with corpses on them. Additionally, a high number of deportees arrived alive but were shot and buried at the "Lazarett", which was also outside the extermination sector proper. See critique, pp. 395 and 397. 91,000 corpses in 8,502 cubic meters = 10.7 corpses per cubic meter. "Along the camp’s northern border, from about the middle until the point where it touches the eastern border, the camp area is churned up and plowed through in a width of about 100 meters. Also a strip along the whole eastern border is dug up and churned up in a width reaching up to the middle of the whole camp area. According to information from the assisting public servants of the citizen’s militia from the militia post in Bełżec, the described churning-up of the camp area is the act of the neighboring population, which was searching for gold and jewels left behind by the murdered Jews. In the churned-up area there lie huge amounts of scattered human bones, skulls, vertebrae, ribs, shinbones, jawbones, tooth implants made of rubber, hair (mainly female and often braided), furthermore pieces of decomposed human flesh like hands and lower limbs of little children. Furthermore there lie on the whole area described above huge amounts of ashes from the burned victims as well as remains of the burned human bones. From the deeply dug-up holes there comes the smell of decomposing human bodies. All this proves that the camp area along the northern and eastern border is a continuous common grave of the people murdered in the camp." See critique, p. 385. Kola identified two clusters of mass graves, 21 in "the area of the northern camp corner" and 12 in "the north-eastern area of the camp" (Kola, Bełżec, p. 39). Report of 13 November 1945, quoted after Mattogno & Graf, Treblinka, on pp. 395-95 of the critique. Air photo assessment and testimonies, namely that of Jankel Wiernik. Laponder considered Wiernik "the most reliable witnesses as he was a year in the camp and was a master carpenter, being used to sizing up distances and measurements" (e-mail message to the author, 14.12.2006). Laponder "took the most logical way of placing" the graves (e-mail message to the author, 14.12.2006). Bender and Nack, Tatsachenfeststellung vor Gericht - Band I: Glaubwürdigkeits- und Beweislehre, marginal note 137 (translation under [link]). Polish mechanic Kasimierz Czerniak, see p. 319 of the critique. I have a theory about the Sobibor detail - as you pointed out, Gomerski and Bohlender indeed mentioned that only two of the three majorly used burial graves were filled. My theory is that the SS used the same diligent space saving measures as they did elsewhere in expectation that they would need all of the graves, but that the the swampy conditions exasperated the corpse situation and made life so unpleasant that they switched to burning before they could make use of all of the pre-dug grave space. Another factor may have been the transport stoppage to Sobibor during this time period. Tough to fill the graves when no trains were coming. Hi, have you got anything on the various denier slurs against Wiesel? Thanks, Jeff. I just added the section about "Soil Removed from the Graves", after I decided that it was too small for a separate post. Wiese is irrelevant to the history of the period.